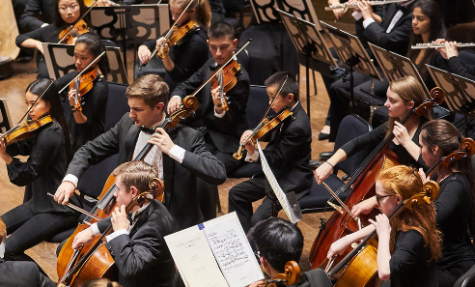 Recently, several Westlake High school students performed with the Cleveland Orchestra Youth Orchestra (COYO) with a program that included works by Johannes Brahms, Samuel Barber, and John Adams. Among many musicians, these students from Westlake High School included Cole Hoff, Amelia Martens, Juyoung Lee, and Nathan Hsiao. The concert took place at Severance Hall and was broadcast live on the Cleveland classical radio station WCLV. 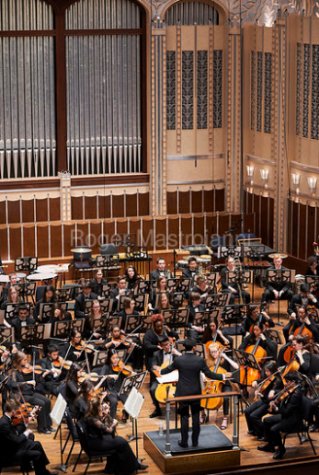 This concert, assistant director of the Cleveland Orchestra Vinay Parameswaran conducted the Youth Orchestra. COYO is one of many of Cleveland’s youth orchestras, providing many opportunities for musicians to work with Cleveland Orchestra members. “We do sectionals every other week with the second clarinetist Rob Woolfrey and he knows so much on how to interpret and play the musical passages,” says Amelia Martens. COYO was established around 1971 by Jaha Ling to provide a pre-professional environment for young musicians in middle and high school. This youth orchestra primary focuses on classical music ranging from the Romantic era to neoclassicism. However, this year’s program also included a contemporary piece, Chairman Dances, commissioned by John Adams. 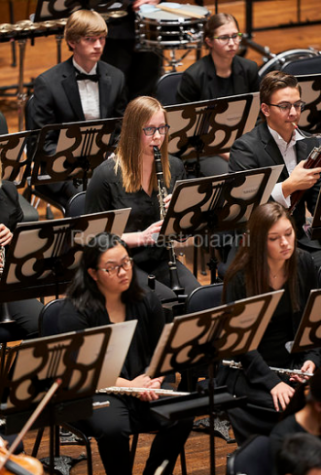 “It’s amazing to be able to play music with other people who are also very passionate about the music and it is a quite a different atmosphere than what you are used to,” says Amelia Martens, a clarinetist who plays in the Youth Orchestra. Yearly, the COYO members also get an opportunity to have a side by side rehearsal with Cleveland Orchestra members. During the November concert, the program opened up with the Chairman Dances. John Adams wrote this piece to symbolize the diplomatic relations between Chairman Mao, former leader of the People’ Republic of China, and US president Richard Nixon. There were also some sections of the piece that portrays Chairman Mao’s youth as well as his old age. “Personally, Brahms Symphony No.2 is one of my favorite works written for orchestra that I ever played. The piece includes both melodic passages and also a technical and demanding fourth movement. The symphony is so beautifully written,” says Nathan Hsiao, a violinist in the Youth Orchestra. 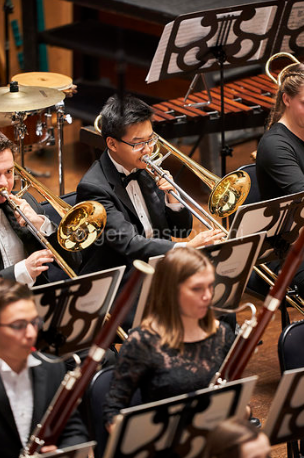 This coming June, the Youth Orchestra intends to travel to Europe to embark on an international tour. They will be playing in Germany, Linz, Slovakia, and Austria. In Linz, the Music Director of the Cleveland Orchestra, Franz Welser Moist, will conduct one of COYO’s concert in his hometown in Linz. Furthermore, COYO will travel to Bratislava to perform in the Reduta Concert Hall, Vienna to perform in the Golden Hall, and many other concert halls. If you are interested in listening to COYO’s next concert, the next subscription concert will take place Sunday, March 3, 2019 7:00 PM and Friday, May 10, 2019 8:00 PM at Severance Hall. Visit http://www.clevelandorchestrayouthorchestra.com/upcoming-concerts.html for more details.